Dr. Tereza Stöckelová is a researcher at the Institute of Sociology of the Czech Academy of Sciences, associate Professor at the Department of General Anthropology, Charles University, and editor-in-chief of the English edition of Sociologický časopis / Czech Sociological Review. Her work is situated in-between sociology, social anthropology and science and technology studies (STS), and draws upon actor network theory and related material semiotic methodologies. 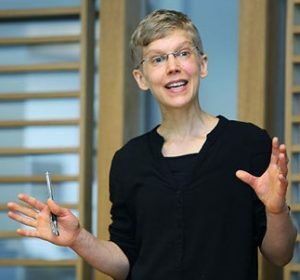 She has investigated academic practices in the context of current policy changes, (social) science and society relations, environmental controversies and, recently, the interfaces between biomedical and alternative therapeutic practices in the Czech Republic. She has also been engaged in national and international policy and public debates on science and research assessment. See http://www.soc.cas.cz/en/lide/tereza-stockelova.